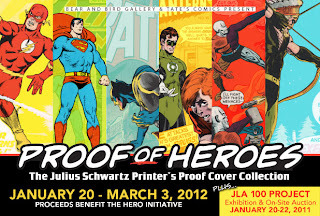 The Hero Initiative: Julius Schwartz Cover Proofs and JLA Auction at Tate's Comics! Julius Schwartz Cover Proofs and JLA Auction at Tate's Comics! The social event of the season will take place Jan. 21, 2012 at Tate's Comics in Lauderhill, FL, in the Miami-Ft. Lauderdale area. 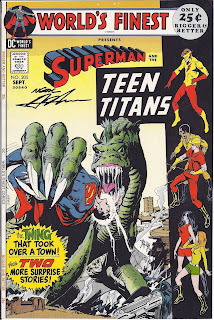 Tate's famous Bear and Bird Gallery will have 297 vintage DC Comics cover proofs from 1964-1974 that once belonged to legendary DC Editor Julius Schwartz. These blank-backed cover sheets were the final printer's proofs Schwartz would review before a book would go to print. They've been gifted to Hero Initiative, and will be available starting Jan. 21 at $100 each. And can you dig it? 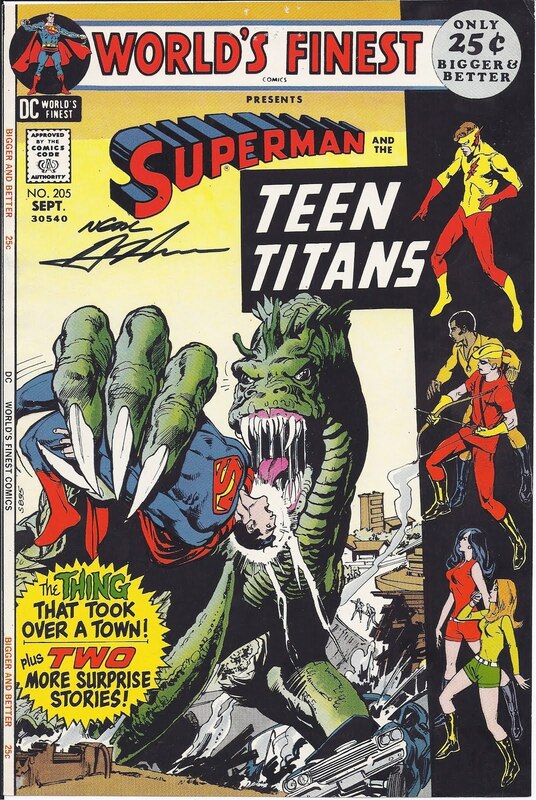 A whopping 87 of these proofs feature art by Neal Adams, and Neal has graciously autographed them all! Four more have been autographed by artist Joe Giella. 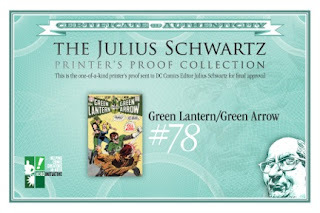 Each proof comes with a double-swell Certificate of Authenticity as well, corresponding to its particular issue. 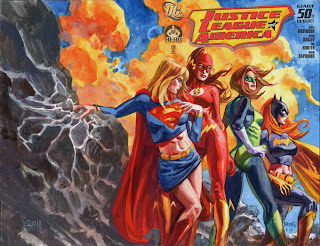 And as if that wasn't enough, the second leg of our "Justice League of America 100 Project" auctions also happens on Jan. 21! A whoppin' 35 original covers go up on the auction block! 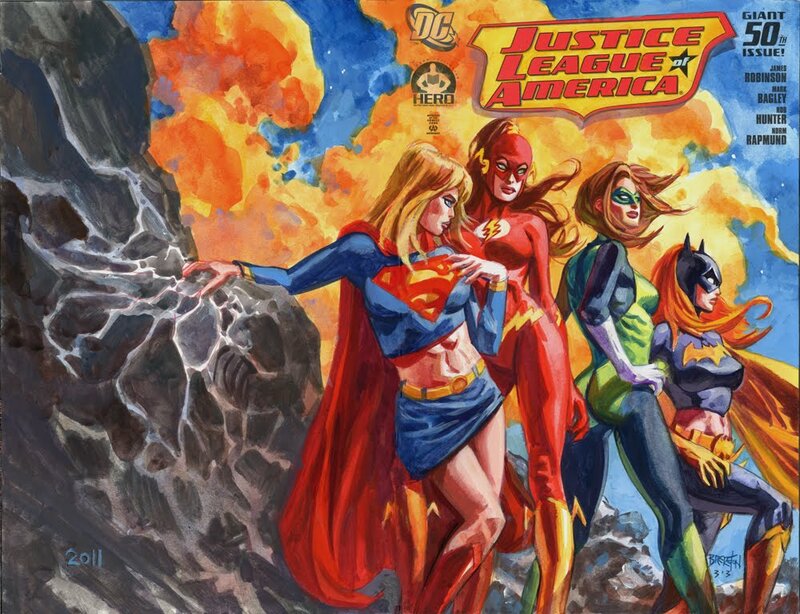 For full details including proxy bidding information if you can't make it to Tate's, check out our JLA hub page. Man, what a treasure trove of cover goodness! Wow- sounds very cool! And Tate's is such a great place.